Friends of Womenable: I have been diagnosed with brain cancer (glioblastoma) and am currently undergoing treatment. The cancer was discovered in September at Munson Medical Center after I began having trouble with speech and wasn’t feeling quite myself. I am receiving great care here in northern Michigan at Munson’s Cowell Family Cancer Center, after consulting with oncologists at University of Michigan Health Systems. At this time, I must take a pause in the work of Womenable and focus on my treatment. I have been overwhelmed by the support and love I have received from my local community including my women friends and my Leelanau Conservancy friends, and my friends from around the world. My wonderful husband, Walter, has been by my side constantly and we continue to take our morning walks in the beautiful environs I live in. Nature, along with people, is buoying my spirits and keeping me grateful for all that I have. Life is good—even with brain cancer! I will begin radiation treatment in late October as well as chemo. The battle ahead is daunting and won’t be easy, but I am determined to fight as hard as I can to kick this invader out of my brain and to enjoy the gifts that come with each day. I’m doing my best to stay positive, and appreciate all of your good thoughts. I am also posting regularly on my Facebook page (Julie Weeks) but it’s difficult for me at this time to type/reply to posts or email. Please know, however, that I am energized and lifted by hearing from you. Thank you. In November, I attended and spoke at the Institute for Small Business and Entrepreneurship‘s pre-conference women’s enterprise policy day. My 25-minute presentation was entitled, “Building a Women’s Enterprise Movement That Will Stand the Test of Time: Lessons From the U.S.‘” It aimed to reflect on the recent silver anniversary of the passage of the Women’s Business Ownership Act of 1988, to share lessons learned from the U.S. experience, and to offer observations of the common elements that bolster and strengthen a healthy and vibrant women’s enterprise ecosystem – which could be adapted for a variety of political systems and development contexts. Here, then, is a Slideshare Slidecast of the presentation, which you can watch and listen to as you munch on your lunch. Or, fellow womenablers, feel free to download it and play it at your next women’s business organization member gathering or networking event to fuel further discussion about what ideas you might take forward in your own community. Go forth and multiply! Womenable President and CEO Julie R. Weeks testified at a recent hearing of the Senate Committee on Small Business and Entrepreneurship, entitled “Creating Jobs and Growing the Economy: Legislative Proposals to Strengthen the Entrepreneurial Ecosystem.” Weeks was one of eight witnesses invited to address the committee. Other witnesses included officials from the U.S. Small Business Administration, a representative from the National Federation of Independent Business chapter in Maine, an official from the Granite State Economic Development Corporation, and business owners. Weeks spoke as an expert in women’s enterprise development, and as chair of the Association of Women’s Business Centers. The Census Bureau’s SBO Program: Ensure the continued funding of the quinquennial Survey of Business Owners program, and direct the Census Bureau to investigate growth continuum issues such as the emergence of “women-led” firms, and the feasibility of determining the gender ownership status of non-profit businesses. 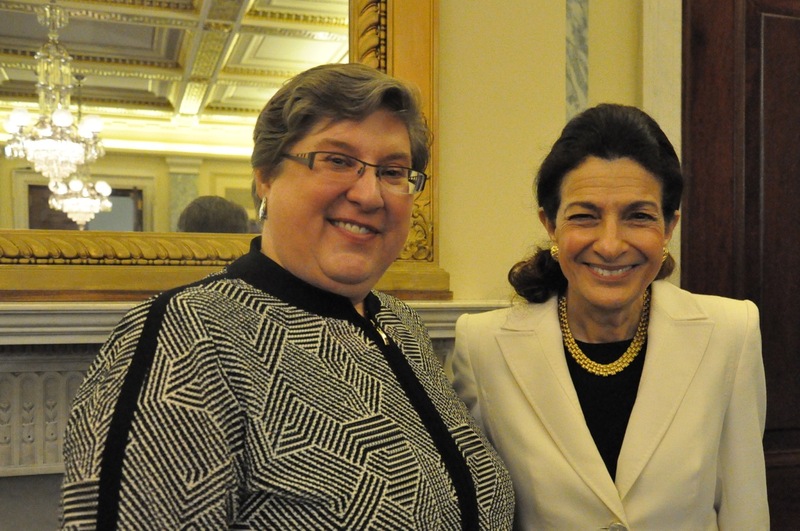 All in attendance gave Senator Snowe a standing ovation near the start of the hearing. Accessing new markets is an important avenue to greater growth for businesses, and a more laser-like focus on issues of spurring growth among women-owned enterprises is the next stage of the women’s enterprise movement. So says Womenable President & CEO Julie Weeks in an article in the most recent issue of the International Trade Centre’s International Trade Forum. 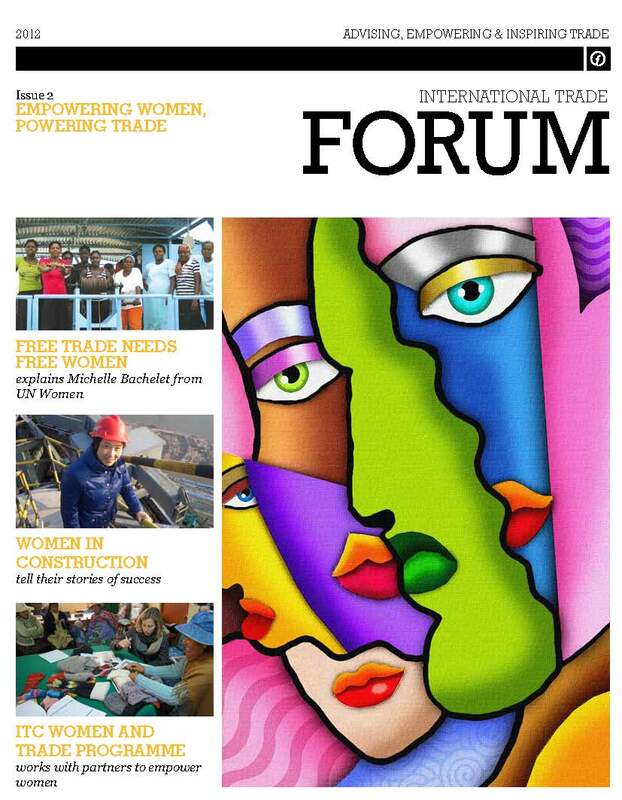 Download and read the entire issue, Empowering Women, Empowering Trade at this link. By launching a new program in Africa to help improve access to international markets for women business owners there. The ACCESS! Export Development Programme aims at assisting over 2,500 women entrepreneurs. Click here to read a fact sheet about the program. I’ve found myself pondering this question, as school sessions get underway. Earlier this year, I visited Kosovo and Macedonia, speaking on the topic of women’s entrepreneurship (naturally) to a number of audiences – including a high school class in Tetovo, a town not too far from Macedonia’s capital city, Skopje. It was a fantastic experience, and I was delighted to engage in a lively dialogue with the students, male and female alike. While there, though, I learned that the school classes are segregated within the same building, with the classes being taught in Macedonian (with a largely Eastern Orthodox Christian population) held at different times of the day or on different days than those taught in Albanian (for a largely Muslim population). It reminded me of another trip not too long ago to Belfast in Northern Ireland, where – although “the troubles” have largely quieted down – Protestant and Catholic neighborhoods are still separated by cement block walls and students still go to separate primary and secondary schools. This was actually even the case for me in my Arlington, Virginia elementary school neighborhood in the early 1960’s, where a wall separated white and black neighborhoods and schools were not integrated until my third grade class, after the implementation of the Brown vs. Board of Education Supreme Court decision abolished the “separate but equal” segregation practices of the past. While language and cultural preservation is an important concern, if children are taught separately in that manner from a young age, how are we ever going to get along? Further, while some tout the value of separate classes or even schools for girls (where some studies show that they may learn better and be better prepared to take on leadership positions after graduation), others decry that position and say that separate education, even by gender, perpetuates existing societal divisions (see an excellent article from a few years ago by Wendy Kaminer in The Atlantic on this point). 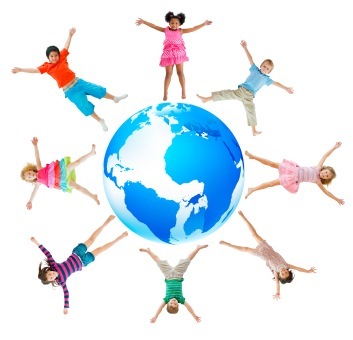 We do all have to get along in a multi-cultural world, with different points of view and varied life experiences. The more we understand each others’ points of view, the better off we will all be, and that education and exposure to diversity should start in primary school. What do you think – is separate ever equal?